The year 2015 was characterised by contemporary art and public participation. Relatively unknown artists like Piet Parra were given a big platform. 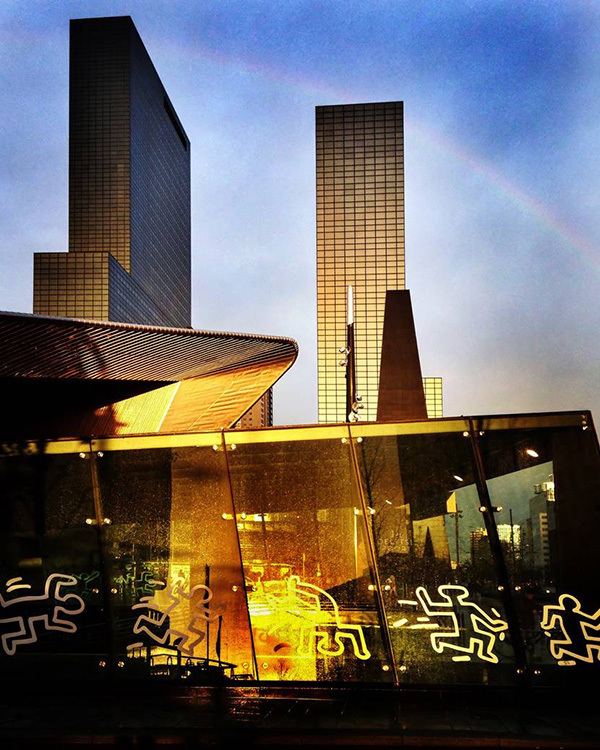 Joining in was the keynote of the ‘Kunsthalcooks & cultivates festival’, ‘Tomato Factory’ and ‘do it (Kunsthal Rotterdam)’, while the international top exhibition on Keith Haring followed a trail through Rotterdam under the motto Art is for Everybody. The Kunsthal is in full operation as an open house, meeting place and platform for third parties. With its exhibitions full of contrasts, numerous events, receptions and other activities, the Kunsthal managed to attract a 35% new public this year. With more than 200,000 visitors, the Kunsthal can look back on a year with many new collaborations in Rotterdam and further afield, a greater involvement of visitors, and an outreach to a younger and more international public. Once again the Kunsthal has managed to achieve a maximal stir. The many collaborations have led to a dynamic year, with the Kunsthal as an exciting Palais des Festivals. Go to The Strength of collaboration for a full survey of our partners. Personally and on behalf of the Kunsthal team, I would like to warmly thank you and all the institutions, companies, artists, creative minds and guest curators for your collaboration. We hope you enjoy reading this annual report and look forward to seeing you again in the Kunsthal.